We've done it before and we're doing it again, this time in a much bigger -- dare I say super -- kind of way. Today, we announced our Super Tuesday map, a one-stop shop for elections-related news and results. Included in the map are results by county, an embeddable map code for your website or blog, a Super Tuesday YouTube layer of geo-tagged user videos, Google News election headlines, as well as Twitter updates from around the country. 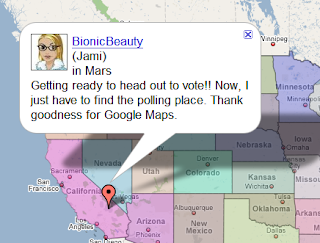 Google Maps aficionados will be able to pan around the nation and view all 24 primary state results in real time. Super Tuesday will be extremely important for the remaining presidential candidates, as it will play a role in determining who will receive their party's nomination. We put together this map to help you follow all of the excitement on the campaign trail. And if you're looking for something to do while you await more results, embed the map onto your website or blog, create your own Super Tuesday video on YouTube, send text messages to Twitter, or spend your time reading up on the action in Google News.